After a night of much merriment and playing pool with ladies underwear on... yes, that was the rules otherwise you were fined the Withy 2013 crowd gathered in the cafe for the final day of the weekend. Again, the weather was cracking, bright sunshine with a few clouds in the sky, maybe not ideal angling weather but none the less I could top up the tan, sorry sunburn! I was going to be on the outer snake high numbers today and the draw revealed I was on peg 36 (I think). The Annual Withy event with the Match Fishing Scene lads this is one of best weekends I've ever had the pleasure of fishing/socialising especially after last years event. Peg 5 on Cottage came out of the bag for me giving me a great island chuck straight ahead and a long left hand margin swim to the corner where the wind was blowing into. Neighbours for the day would be Sconey and Withybagger. Method Rod13 metre left hand margin swim14.5 metre swim straight ahead5 metre meat line Bait for the day was luncheon meat, sweetcorn, dampened 4mm and micro pellets, 4-6mm expander pellets and some worms for the hook. I also mixed up some dark sweet fishmeal groundbait to cup in loosely on the margin line. 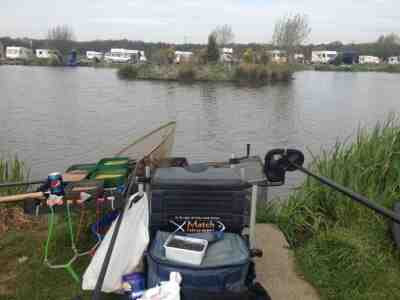 The final day of the 5 day festival and we would be back on Lindholme Lakes Bonsai lake. After a great Thursday night there were plenty of sore heads. I drew last after helping Gary and peg 64 was left in the bag for me so I would be on the middle arm but this time on the left hand side. There was a good ripple on the water and I had an island to cast to with the method or bomb rod, plus a peg to my right which was empty and would be a great margin line later in the match. Neighbours for the day were Keith (Shallowman) and Pete (Texas Pete) so I knew it would be a fun match. The island would be a target area for the method feeder and I also chose a couple of pole lines. 8 metre line's at 10 and 2 o'clockMargin line to the empty peg to my right I would rely on sweetcorn again, 6mm pellets, 6mm cubed luncheon meat and loose groundbait. A beautiful day awaited the whole of the field, blue skies, sunshine, but very little wind, which of course meant no ripple on the water. The previous night was a big night for the lads with two lodges worth of booze consumed, this of course resulted in some very soar heads in the morning. Peg 43 came out of the drawbag for me. 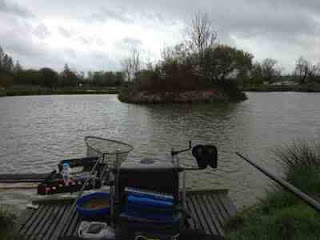 This peg is at the top end of the lake in a bay on the left handside with a very short walk from the car. Arriving at the peg the water was dead calm and there were a few carp lazing about just under the surface. So far my best performance in a maggotdrowing festival so I was keen to do well again today. The bar was shut last night, so we had a few drinks in the cabins but it was a pretty early night for all concerned and as such, not too many rough faces in the morning. Overnight it had been quite chilly but the weather was being good to us all with bright sunshine. I drew out peg 27, which is on the top left hand corner of Oasis, giving me plenty of options. Bait was sweetcorn for hookbait as it hadn’t let me down so far this week, dampened micros, 6mm hard pellets for pinging across, meat and hemp. Day 2 and not many hangovers from the Monday night apart from the party boys cabin who apparently were up until 3am... Although they didn’t look too bad after a night of merriment! Willow lake is generally a square lake with a number of legs going into the centre of the lake, looking at it from an aerial view is is almost like to ‘W’s. The point on these legs are the sought after pegs. A big thanks to Keith (Shallowman), who lent me his Tricast Trilogy so I could use his number 5 section to replace the one I broke yesterday... it was a life saver and greatly appreciated. Thanks Keith! 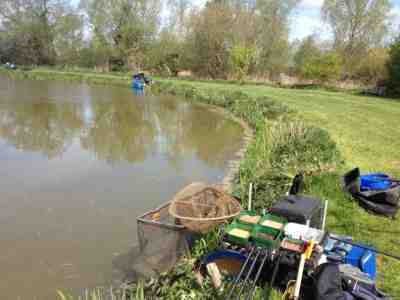 As most anglers who read this blog will know the draw queue is normally a hand diving fest! I reached into the bag and pulled out Peg 35 which was in the bay at the top of the lake. It has an aerator straight ahead at around 16 metres which is an obvious target area. 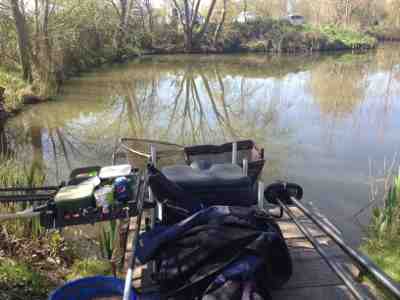 The annual fish-in with the Maggotdrowning crewe to Lindholme Lakes in Doncaster. A five day festival with the “usual suspects”. I arrived on the Sunday and had a quick practice on the Loco lake which taught me absolutely nothing to be honest. Most of the lads from last years festival where here and the abuse soon started, especially my nickname of, “Why Lee, Why”. The weather wasn’t too bad, sunny day but the wind was gusting very heavily. 9am draw, fish 11m through to 5pm, plenty of time to set-up and a decent 6 hour match. We had plenty of of room with only 24 fishing, four sections of six people on Bonsai lake. Bonzai is the jewel in Lindholme Lakes’s crown and everyone looks forward to fishing it. The hand drop in the bag and I drew out peg 75, so I would be on the middle leg on the right hand side, wind would be over my back hopefully making it an easier day than most.